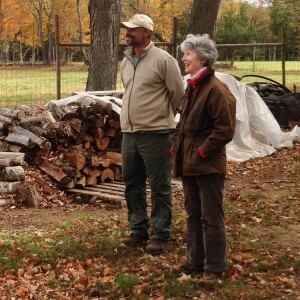 Land For Good announced that it has been awarded $641,000 grant to help beginning farmers who seek land in New England or who want to improve their tenure situation. The Land Access Project expands LFG’s collaborative work to help New England beginning farmers successfully access land to start or grow their farms. The project will also benefit established farmers seeking to plan a farm transfer or find a successor. This second three-year phase of LFG’s Land Access Project brings together over 40 collaborating organizations, agencies and individual experts to continue regional collaboration on farmland access, transfer and tenure. Like its first phase, the project takes a comprehensive, systems approach to improve programs and policies around land access and transfer in each New England state. Project teams and partners will work with established and transitioning farmers, landowners, conservation organizations, service providers, communities and policymakers. In New England, the majority of farmers are at or beyond retirement age. According to the US Census of Agriculture, 31 percent of principal farm operators are age 55 to 64 and 30 percent are age 65 and over. (See below for state statistics) What these farmers do with their land and other farm assets as they exit farming will shape New England’s agricultural landscape for generations to come. The Land Access Project will help farmers access land to start or grow their farms and to support established farmers to transfer their farms to next generation farmers. Founded and based in Keene, LFG works throughout New England to help farmers access and transfer farms and farmland. It is one of the few groups nationally focused on farmland access, transfer and tenure. In addition to innovation and policy work, LFG provides education, resources and direct services to farm seekers, established farmers, landowners, and community stakeholders in all six New England states. New Hampshire: The majority of beginning farmers (55 percent) are age 45 to 64, and 30 percent are age 65 and over. NH’s farming population is aging. Only 15 percent of principal operators are under age 45, and only 26 percent are new and beginning farmers of any age. (US Census of Agriculture) And that number of “next generation” principal operators under age 45 is falling, according to new research by American Farmland Trust and Land For Good. Vermont: Over 25 percent of the farms and farmland are owned and managed by farmers at or beyond retirement age, 65 years and older, and that number is growing with 55 percent of Vermont’s principle farm operators aged 45 to 64 who will be facing their own succession challenges in the next couple decades. (US Census of Agriculture) Only 13 percent of the land in farms is owned or leased by next generation farmers, according to new research by American Farmland Trust and Land For Good. Many aging farmers are without an identified successor. Massachusetts: Over one-third of the farms and farmland are owned and managed by farmers at or beyond retirement age, 65 years and older. (US Census of Agriculture) A vast majority, 92 percent, of farmers age 65 or older do not have a farm operator under the age of 45 working alongside of them, according to new research by American Farmland Trust and Land For Good. So while the Commonwealth has seen an uptick in new and beginning farmers, a majority of these new farmers are age 45 or older, facing their own succession challenges in the next couple decades. Rhode Island: Nearly one-third of the farms and farmland are owned and managed by farmers at or beyond retirement age, 65 years and older, and that number is growing with 56 percent of Rhode Island’s principal farm operators aged 45 to 64 who will be facing their own succession challenges in the next couple decades. (US Census of Agriculture) Only 15 percent are next generation principal operators and that number is falling, according to new research by American Farmland Trust and Land For Good. Many aging farmers are without an identified successor.